In honor of National Pancake Day, A Fare Extraordinaire is celebrating with our favorite party trend – Breakfast for Dinner! 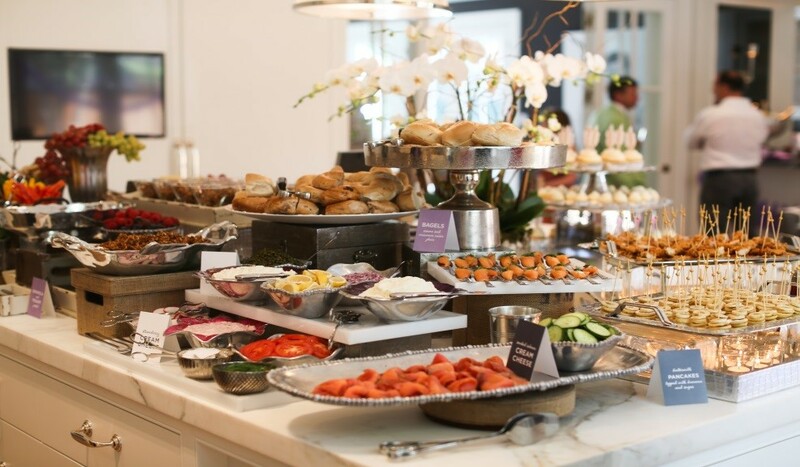 Whether it’s a birthday celebration, a baby shower or intimate date night for two, we love incorporating breakfast food items during dinner time. BRUNCH seems to be everyone’s favorite meal, so why not bring the brunch to dinner? Breakfast foods are fun to incorporate into any menu because it is easy to turn them into cute, petite bites. 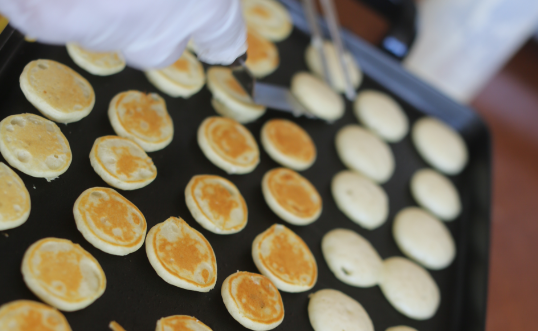 One of our favorite brunch items are our Petite Pancake Stacks. Pancakes are an easy way to add a filling food item to your brunch display. 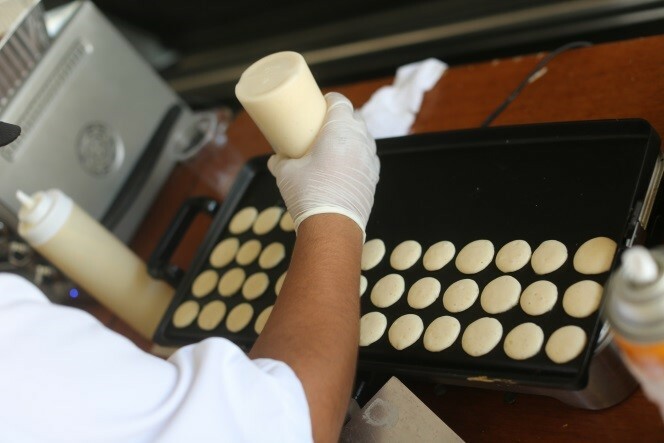 We also love pancakes because you can add a large variety of toppings and sauces to appeal to different palates and tastes. At AFE, we love adding chocolate chips into the mini pancakes and a banana slice as a topper….and you can never go wrong with a little bit of powdered sugar! 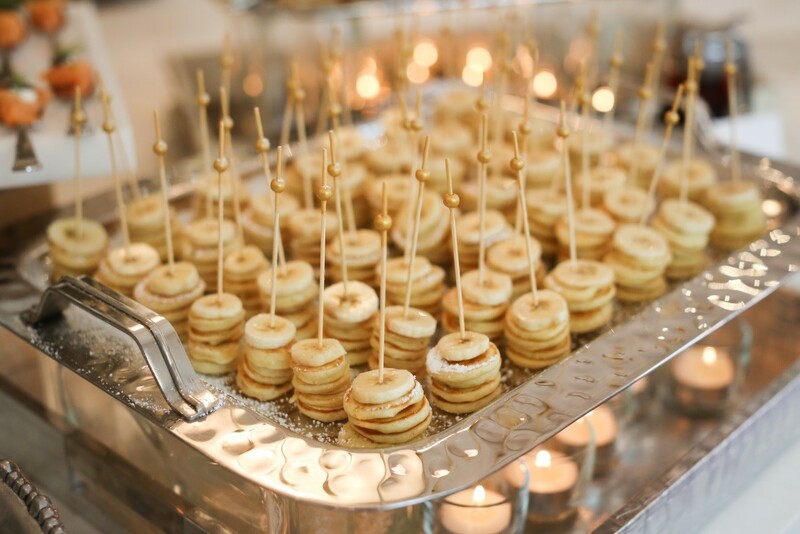 To compliment these precious petite pancakes, we recommend creating a full brunch display. Dinner is always a heavier meal, so incorporating a full display with endless options will be sure to fill your guests for the evening. Be sure to tie on some savory items to complement the pancake sweet tooth. Some of our go-to savory “breakfast for dinner” items include: Bagels and Lox & Chicken and Waffles. Enjoy!! A Surprisingly Simple Recipe For Science-Minded Runners!